They shall not hurt nor destroy in all my holy mountain, says the LORD. Worship One God, Who only is good. Bow to no idols of stone or of wood. Speak not of God in careless ways. Try to make Sunday the best of days. Father and Mother, love and obey. Hate not God's children, hurt not nor slay. Pure be in thought and in word and in deed. Keep your life free from stealing and greed. Speak the truth always, never tell lies. And look not on others with envious eyes. The Spirit of Jesus is continual forgiveness of Sin: he who waits to be righteous before he enters into the Saviour's kingdom, the Divine Body; will never enter there. Whatever gods are in this place, give us what we need to live without being wasteful, and make our goodness genuine. The goodness and the love and the holiness were permeating through me, and I thought to myself, I'm a piece of garbage. They've made a terrible mistake, because I don't belong here. I was so ashamed. With that we stopped our movement and He spoke to me for the first time and He said, "You do belong here, and we don't make mistakes." Help yourself to my Planescape Character Generator for MS-DOS. Li Po's understanding of his alignment plane follows the description in Dante's "Divine Comedy", which was a primary source for the official description of Mount Celestia. The idea of a holy mountain is ancient, and occurs from time to time in the Old Testament. The Psalms refer to God's mountain, and other sects met on mountaintops ("the high places"). 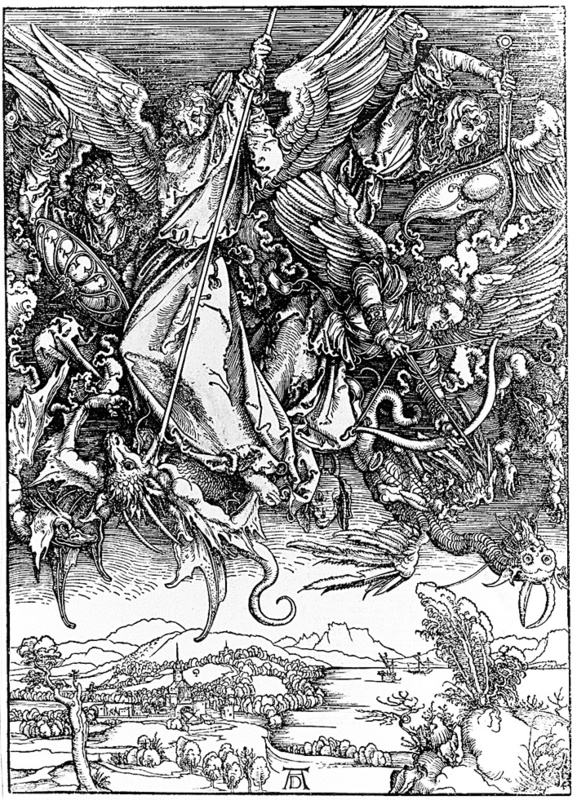 In Dante's "Divine Comedy", the fall of Satan to earth created the pit of hell and pushed up a mountain on the opposite side of the earth, which the contrite dead climb as they review their lives and practice living better. When a soul's remediation is completed, the entire mountain cheers. The mountain had seven cornices, where the seven deadly sins were removed one at a time. Thomas Merton, the famous modern Christian monk, borrowed Dante's image in his "Seven Story Mountain", the account of a monk's spiritual journey. (Some of Ed's Pathology Notes were actually written years ago in Thomas Merton's fire tower.) Dante's vision of heaven itself was the ptolemaic planetary spheres, and the seven layers of Mount Celestia are named for the planets rather than the layers of Dante's mountain. Planescape's Mount Celestia is a universe of ever-rising cliffs, each brighter and more glorious than the last. It is a place of stately beauty and strict, no-nonsense law. But it is good law and tempered by mercy and understanding. Love is abundant, is often tough, and always builds up. Nowhere in the multiverse are the locals better equipped, or more willing, to help others. The spiritual beings of Mount Celestia are good company and have a sense of humor. They will invite the adventurers to make the mountain their spiritual home, but they are more likely to proselytize by example than by hard-sell. The mountain represents spiritual perfection, but no one can even begin the ascent without realizing his/her own imperfections. Begin to do this, and you will no longer be uncomfortable on the Holy Mountain. On the plane's first five layers at least, there may be more than one mountain, or the geography may be different for different people or at different times. People who are tolerant of other decent religions probably see several mountains, while radical sectarians can see only one. It seems reasonable to think that all portals connect a mountaintop on the lower layer to a valley on the higher layer. The portals are likely to be guarded by a saint or angel, who will ask challenging questions of those who would pass. Perhaps mountaintop shrines are testing stations that exist in a valley of the next layer as well. Mount Celestia is home to innumerable grand cities and formal gardens. Outside, there is a natural ecosystem, with animals that are not naturally tame but that present no danger to humans. Here the terrain is always difficult and dangerous, with rockslides, winds, avalanches, and sudden storms. The people of the mountain(s) often patrol and form rescue parties. Apart from the physical dangers, a decent creature is safer here than anywhere else in the multiverse. Gary Gygax brilliantly conceived Bahamut, the king of all good dragons, as among the guardians of spiritual goodness -- enormously strong, enormously wise, and in many places at once, yet unobtrusive and difficult to find. Because this is a plane where goodness is very strong, you will find genuine unselfish love from many (probably most) of the locals. People will go out of their way to help you on Mount Celestia. The locals -- living and dead -- follow an internalized code of goodness, and know and do what is right by instinct. They may surprise visitors by their knowledge of their past deeds, good and bad. Faith communities tend to be highly organized and regimented, both for worship and for community service. They are usually interested in doing whatever they can to promote good government. Places of worship may be grand and filled with symbols, or they may be stark and simple. Laws and edicts exist to guide visitors. Depending on the area, they range from very simple to very elaborate, but they are never arbitrary or unreasonable. Because this is a lawful plane, there may be some very large civilizations. The "Planescape" materials talk about "archons", grotesque human-animal crosses. I'd imagine instead that departed souls arriving on the Holy Mountain keep their character forms from the start, and have the opportunity to transform into angelic beings as they progress in goodness. Perhaps the monstrous "archons" are actually initiates of particular orders of good beings who develop their abilities in common. Lawful-good creatures are immune to all magical or psionic mental influence, and have a bonus of 2 on armor class and saves. Magic has a percentage chance to fail for non-lawful-good types, depending on their moral and ethical distance. On Mount Celestia, a paladin's warhorse is able to talk. You will not find any self-satisfied, self-righteous people on Mount Celestia. You can climb to the next layer only by being faithful to one of the paths of virtue taught by the world's faiths or philosophers. The locals can automatically distinguish visitors to a particular layer from real climbers. Perhaps a permanent point is gained each time a level is completed. The most popular saying on the Holy Mountain is, "You shall love the Lord with all your heart, and you shall love your neighbor as yourself. These are the two great laws, and they are inseparable." Secularists and honest doubters can also follow any of the paths. Lunia ("the moon"): The heaven of innocence. Here children and simple folk enjoy peace and safety and find opportunities for fulfillment. In some places, social animals live together as they do in children's stories. Their defenders are invisible, but powerful. The lawful joys of childhood are the theme here. The heaven of holy innocence is an infinite sea of holy water ("the silver sea") under a summer-night sky full of silver stars and eternal moonlight. When holy water touches an evil creature, it is that creature's evil, not the water, that burns. Every creature might glimpse, reflected in the water, the best that he/she could be. People come to Mount Celestia to learn about themselves. Sapphire pools to the astral may be found as bright spots in the water. The stars and moon are far brighter and more beautiful than on any prime plane. From the sea rise the grand mountain-islands, while other holy beings live in the water itself. All portals from other planes open in or just above the ocean, so that new arrivals are immersed, recalling the initiations of certain world-faiths. Unholy creatures will be severely damaged, while others will be rescued if needed by dolphins, sea folk, or Michael, the ultra-likable and ubiquitous boatman of the upper planes. Some souls newly-released from the body may float for a time in the air as points of light before their spiritual bodies form on the plane. "Speak with Dead" will result in good conversation. This is a common plane for the headquarters of sects devoted to child care, education, and simple goodness. Visitors will probably find opportunities to raise their constitution and dexterity scores. On the islands, you can also find communities of good social animals. There is a kingdom of holy rats on one of the islands -- long ago, rats rescued a great minion of goodness. There is a realm of wise and good dinosaurs. Good dogs are extremely common. Many of the animals can talk. "And a little child shall lead them." Mercuria ("the planet Mercury"): The heaven of learning, the spiritual home of all who advance human knowledge for good. The layer is full of the spirits of those whose first concern was using their special skills and knowledge for the good of others. Unimpeded thought and free scientific inquiry are the theme here. You will find the greatest universities in the multiverse here, and any book that a good person could use might be found. If you bring "comprehend languages" and make an intelligence check, you can probably find any single piece of information you want. Mercuria is a realm of perpetual sunrise, far more glorious than dawn on any prime plane. There are realms with a high-tech focus, and other realms where good magicians can learn most anything they would want. This is a common location for the headquarters of good, decent sects devoted to athletics, commerce, communications, dawn, knowledge, or good magic. Characters will find opportunities to improve their dexterity and intelligence scores on this plane. All poison is slowed here and above, as per the "Slow Poison" spell. Any act of creation is doubly successful, including "Creation" sphere spells, as is all artistry and craftsmanship. There are rumors of an ancient race that can make technological replacements for any lost body parts. Venya ("the planet Venus"): The heaven of love. The layer exemplifies family love at its best. Here also is the spiritual home for doers of good deeds for the larger human family. "The Pearly Heaven" or "Summerland" is a lush and fertile mountain universe glowing with a pearly light as bright as a prime plane noonday. It is the spiritual home of all decent, right-living, ordinary folk. The weather is milder here than on the other layers. Plants grow twice as fast as usual, and all plant magic is doubly strong. Pearly Heaven is also the spiritual home of the finest artists. Denominations that serve decent communities often have their headquarters here. This is a common location for the headquarters of holy sects devoted to agriculture, ancestors, or genuine family values. Characters will find opportunities to improve their strength and charisma scores. All poison is immediately neutralized here and above. Solania ("the sun"): The heaven of wisdom. Here the multiverse's philosophies and theologies, and its honest doubts, come together in peace. "The Golden Heaven" or "The Heaven of Wisdom" is filled with colorful glowing mists, soaring mountains and tremendous canyons, all under a sunlit golden sky. Light here is more brilliant than any noonday on the inhabited prime plane, but it is not oppressive. This is the spiritual home of the good philosophers and teachers, of those who have preserved the best traditions, and those who organized worthy charities. On the mountain tops are monasteries where all worthy questions are answered truthfully and completely, where a lawful-good cleric can gain experience, and where any creature that presents itself will obtain mercy. Those receiving mercy must in turn show mercy to others later. Fourth Heaven is a common location for the headquarters of holy sects devoted to healing, kindness, light, oracles, philosophy, or the sun. Characters will find opportunities to improve their intelligence and wisdom scores here. Here and above, all curses are permanently nullified. Mertion ("the planet Mars"): The heaven of courage. It is the home for all who fought for goodness and decency. Also here are the pacifists and martyrs, who gave their lives for good causes without fighting back. "The Platinum Heaven" or "Camelot" is the home of heroism and self-sacrifice. Here the armies of holy angels are marshalled for just wars. The realm is filled with sweat, blood, and friendship at their finest. The sky glows with a platinum-colored light, brighter than the fourth heaven, and painful for creatures who are not either extremely good or native to the upper planes. Unholy creatures take 1d6 damage/round, no save. Chivalry and the best bonds of military comradeship are real here. This is the spiritual home of paladins and all others who were organized to fight for good. Equally, this is the home of all holy martyrs, souls who renounced violence and advanced the cause of righteousness by their sacrifices and death. Atop the mountains are colossal ruby-domed citadels. Here all kinds of creatures receive the best possible combat training, and perhaps fighters can gain experience here. There is a battle training ground where every wound heals at 1 hp/hour and even mutilation and death are temporary, provided that the battler is there by approval of those in authority. There is a city of hard work and healing, where anyone can be cured of diseases, insanity, lost body parts, or lost life levels -- but using the waters tends to turn the user Lawful Good without penalty. Metal from this heaven is probably used to make Holy Avenger swords and similar weapons. This is a common location for the headquarters of sects devoted to healing, missions, strength, and just-wars. Characters will find opportunities to improve their strength and constitution scores here. Here and above, all diseases are cured, even mummy rot and lycanthropy. Jovar ("the planet Jupiter"): The heaven of justice. At the center is a ziggurat, intricately carved. Good folk see their own good deeds engraved here. Wicked and selfish folk see the good deeds of their enemies. And perhaps good folks of all ethical persuasions see the hidden things that make sense of seemingly-senseless events. Atop the ziggurat, a court meets in perpetual session. Any being presenting itself to the court will receive justice. Beware, all who approach the court! "The Glittering Heaven" or "Heaven of Gems" has a silvery sky filled with huge celestial bodies of every color, glowing with intense light, like thousands of suns. No one knows who or what inhabits these bodies, but it is rumored that they are worlds inhabited by the spirits of contrite sinners who have done their penances and passed beyond the known outer planes. Jovar is the spiritual home of all who administered justice, all who planned wisely for the good of all decent folk, and (depending on the region) also for those for whom organized religion was the means of promoting love and kindness. Here the councils of holy angels rule and plan for the good of all creatures. And here, every visitor knows the wrongs that he or she has done, and the evil that he or she still harbors. This makes all but the very finest folks uncomfortable. The finest of all sacred music is heard here. There are pools where any creature making a wisdom check can view most any place in the multiverse for 1d6 hours. There is the multiverse's best law library, and if a visitor knows where to look, he or she can find a catalogue of every being's morally significant actions (well-repented sins have been erased). Regardless of merit, merely entering this plane heals all physical, mental, and spiritual ills, and restores all lost abilities, levels, and body parts. Perhaps one could even find lost memories from Styx/Lethe or a cure for insanity caused by casting "ESP" on the Lady of Pain. The courtroom provides the only entry to the seventh heaven. Chronias ("the planet Saturn", or "Father Time"): The cloud of unknowing. For Dante, this heaven was the home of the contemplatives and mystics, whose prayer was their whole life, and who sought grace to receive the direct vision of God during mortal life. 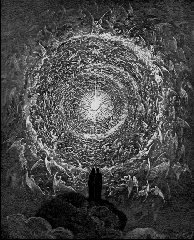 Dante's "heaven of Saturn" is cold and silent, yet with a central instrument for further ascension to the true home of all blessed souls. In the TSR worlds, no player character has ever returned from Chronias, but it must be a realm of truth, goodness, love, and light beyond description. The wise say that the seven heavens only reflect the joy for which all beings were created. Spell alterations in Mount Celestia: Spells that encourage misbehavior or confusion or that involve harmful necromancy or causing pain ("blur", "fool's gold", "misdirection", "delude", "confusion", "contagion", "enervation", "distance distortion", "mislead", "demand", "trap the soul", "chaos school spells", and so forth) simply fail. Non-lawful-good types have a straight percentage chance of spell failure (10% for neutral-good and lawful-neutral, 30% for lawful-evil, true-neutral, and chaotic-good, 60% for neutral-evil or chaotic-neutral, and 90% for chaotic-evil). Conjured lawful creatures obey the letter of every command. Good creatures serve lawful-good or neutral-good summoners faithfully. Others cannot command any obedience from anything. All divinations are true, without exception. All life-enhancing necromancy of mages or clerics is double-effect, while killing spells attempted for a bad purpose probably fail and mark the would-be user (stories about their doubling the hit dice of the intended victims are hard to credit). Wild mages' levels are reduced by one per level of the plane, no surges are possible, and wild magic spells over fourth level simply fail. Elementals are tractable if they are conjured for a decent purpose. Magic that would damage the mountain(s) simply fails. It seems unlikely that spell keys would overcome any of the basic changes in magic. The original rulebook state that a unique key is required to cast "fear" -- think about why this might be. Wizardly spell keys are metal shapes. They must be kept pure and undefiled. Power keys for clergy are holy symbols, and they lose their power in 1-3 months. The suggested color for pools from the astral is gold. Ethereal curtains might be brilliant yellow. The dead who have become lanterns (perhaps people who have chosen to begin new lives as the juveniles of the strongly-aligned race) are immune to electricity and petrification, and have other special abilities. The plane is "mildly good-aligned" and "mildly law-aligned". Chaotic and evil creatures have -2 (adding as necessary) on charisma checks. Good-based (non-chaotic) spells work as if caster were 4 levels higher. Law-based (non-evil) spells work as if caster were 4 levels higher. The Fourth Edition has retained Mount Celestia, with all seven mountains visible after one crosses the "brilliant golden aurora." The dwarf patron Moradin, the Platinum Dragon, and the former "chaotic good" patron of strength sports Kord all reside here. And we read in "Manual of the Planes" that "the just, the righteous, and the merciful dwell here in light and joy forever." The "spiritual paths" theme is retained by mention of "mystic monasteries", and there is still a region offering the most potent healing anywhere. Perhaps visitors would get bonuses or penalties to intelligence, wisdom, and charisma-based skill checks depending on how much their behavior has been in keeping with the ideals of the locals. In keeping with the flexibility of the third and fourth editions and the backgrounds of many players, perhaps Mt. Celestia is essentially a world where like-minded spirits meet. It looks and works like our own world, except that the people are good, the institutions are genuinely philanthropic, and everybody works together effectively to help visitors and one another. Especially, business, government, and religious institutions all actually work consistently and well for the good of the public. NPC attitudes are typically "helpful" unless the visitors seem bent on mischief. The holy angels of Mt. Celestia are a non-human (or formerly human) race devoted to promoting the community's ideals among the living by encouragement and subtlety, rather than by force. The dead find communities matching their own ideals and interests, and continue to live much as they did on earth, though no longer able to visit the Prime Plane. Instead of the "gods" of polytheism, each living Lawful Good divine spellcaster is sponsored (and monitored) by a prayer fellowship with similar interests based on Mt. Celestia. For the fourth edition, I suggest no penalties for divine spellcasters from elsewhere. For earlier editions, I respectfully suggest that the only penalty for such a cleric on a differently-aligned outer plane is the loss of one spell of the highest available level for each plane removed, with the Outlands two planes from Mechanus, Elysium, Limbo, and the Gray Waste. When one level is depleted, spells of the next highest level are lost. Thus a cleric sponsored from Mt. Celestia would lose one spell on Bytopia or Arcadia, and eight spells in the Abyss. Moving to the Outlands loses four spells. A world where people are actually as they pretend to be on our earth would be as magnificent and grand as any rules-intensive world ever visited by adventurers. Referees might not want players to realize that they have entered the Holy Mountain. Depending on the site of arrival, visitors might simply recognize a community of good, unselfish folks where religion and science both work as they really should. The local clergy will preach with conviction and power, and live their own message. secularists actually work together to promote the health and security of the public. There are indeed such places, even on our world. Here are some questions that you can explore while climbing Mount Celestia. We do not see "the gods" on an ordinary basis, and religion has resisted experimental verification, perhaps by its own nature. Are people who believe in one or more gods better or worse? Does it really affect how they treat their neighbors? Do those who climb the mountain(s) care about those they are leaving behind? Do we progress up the mountain(s) by our actions, by giving assent to certain doctrines, by adjusting our attitudes, or by a personal relationship with a transcendent personality? Might these all be the same? Does our ascent help others? Do we need to climb before we can really help others? How do dwellers on the mountain(s) express individual creativity? Jack Kennedy rightly observed, "If we make peaceful revolution impossible, we make violent revolution inevitable." What ideas about social reform are consistent with life on the mountain(s)? There is a rumor that those who possess religious tolerance see several mountains, while those who do not see only their own. But some religious doctrines are obviously false. And many religions teach their adherents to abandon common sense and ordinary decency. How do we deal with these people? Our own world is full of people who are generous and make sacrifices without believing in any supernatural rewards. What motivates them? Is it true that the fiends were once good angels who fell? Or their descendants? Might they be redeemed if they learn to love again? Can we help? Don Brubaker -- God said, "You must learn to love others, to have compassion, and to forgive them. You must live so that others will see Me in you." Link is now down. Bill Wilson -- founder of Alcoholics Anonymous -- "standing high on a mountaintop". Link is now down. Israfel -- Edgar Allan Poe on a Muslim theme. "If I lived in heaven and the angels had to live in Baltimore..."
A J Ayers -- "He became so much nicer after he died." Also good reading: The Great Divorce -- the very subtle book by C.S. Lewis, Christian. Serpent and Goddess Academy of Love -- Link is now down. This was Postmodernist Heaven. 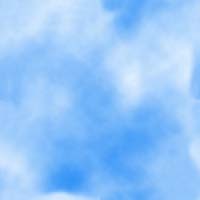 Descriptions of near-death experiences, minus any mention of the strong sense of right and wrong, and of personal responsibility to others, that these so often impart. "The core problem is that we all assume that an objective reality exists as the absolute standard." George Ritchie -- "How could [Christ] have told me, and I not heard?" "I told you by the life I lived. I told you by the death I died." Other Episcopalians have explained to me that heaven starts in this life. I'm told that when we try to give up our petty greeds, hatreds, vanities, and laziness, and brighten the world for other people, there's a certain happiness, peace, and fulfillment that are hard to explain. Maybe heaven becomes more concrete for us when we die. If there is no afterlife, I think this is still the best way to live. Even if you are not Lawful Good, please respect TSR's copyrights. Their products have brought us more than pleasure -- they present a universe of meaning and insight. Third edition: DD3.5, d20 Modern, Dragonlance, Eberron, Forgotten Realms, lots more. AD&D2 Generic Character Generator for MS-DOS. AD&D2 for very limited machines for MS-DOS. Alternity Science Fiction Character Generator for MS-DOS. Birthright Character Generator for MS-DOS. Dark Sun 2 Character Generator and documentation for MS-DOS. Planescape Character Generator for MS-DOS. Psionics Character Generator for MS-DOS. Red Death Character Generator for MS-DOS. Skills & Powers Character Generator for MS-DOS. Ed says, "This world would be a sorry place if people like me who call ourselves Christians didn't try to act as good as other good people ."